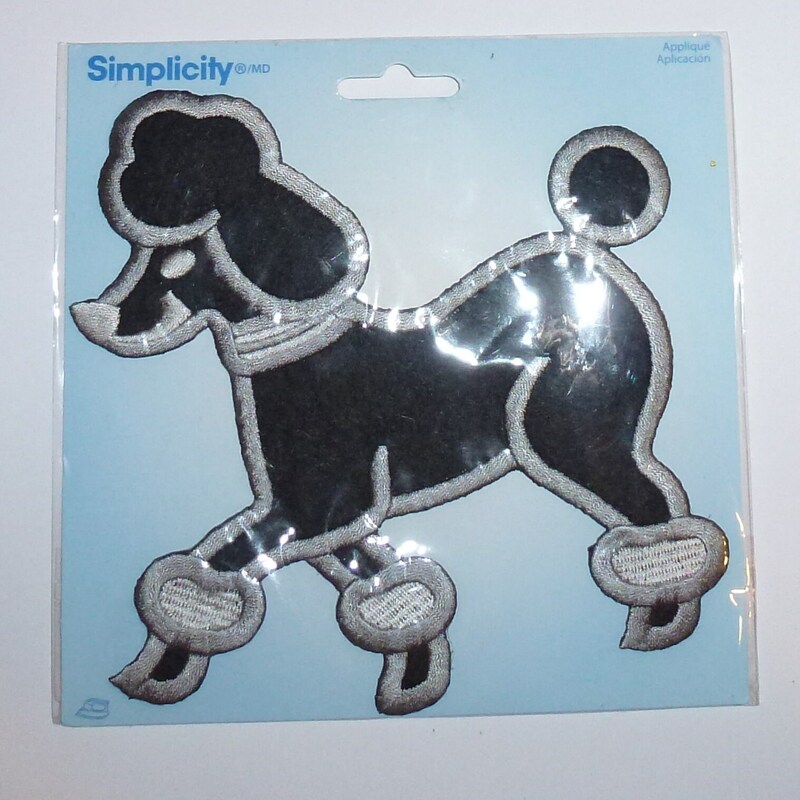 6" x 6" large poodle applique brand new in the package by Simplicity. This size has been discontinued so get this larger item before it sells out. This flat rate item will be shipped for free to anywhere in the USA with no tracking.